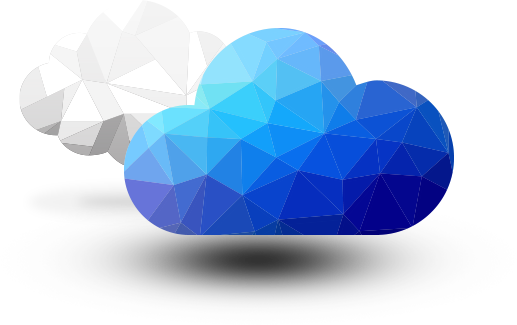 We provide an array of AWS manage support services and Cloud Computing services for scalable secure and reliable mode to host data in clouds and cut down hardware cost. Amazon Web Services offers a comprehensive set of infrastructure platform from Amazon that provides customers with a wide array of cloud services at inexpensive price to reduce their hardware cost. AWS claim 99.95% reliability and scalability with it's highly configurable design and third party integrations enabling customisation. Amazon charge their clients for Amazon AWS based on their resources usage of the various Amazon Web Services but no upfront fee or minimum cost. Scale Up Scale Down. Experience True Elasticity. Zero Downtime . Reliable distributed architecture. 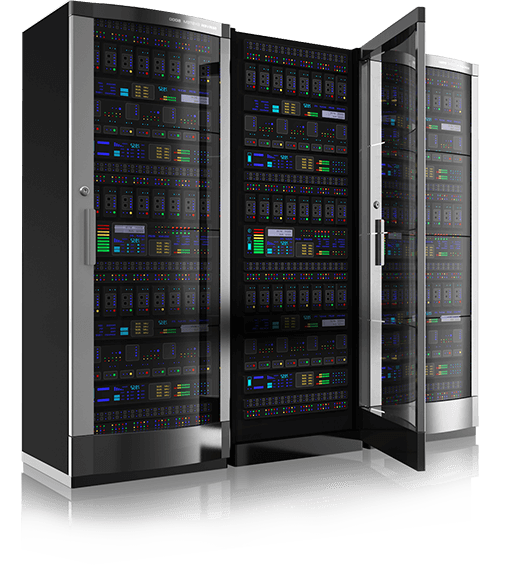 Reliable databases across multiple global data centre. Singsys provides Amazon Elastic Compute Cloud (Amazon EC2) web service that provides resizable computing capacity in the Amazon Web Services. Being capable of complete virtualization of VM instances, storage and network in EC2 our AWS Trained Solution Architects ensure proper security. It is backed by Amazon support team for timely support and proper guidance. AWS Trained Solution Architects of singsys enable EC2 to operate on inexpensive commodity hardware. Amazon has engineered EC2 to deal hardware failure efficiently via replication.Our Architects are expert in employing EC2 scalability to launch multiple virtual servers, storage management, configuring security or networking.Traffic forecast not required since EC2 is scalable enough for managing requirements. WE prefer customized Xen as hypervisor for virtualization. Independent of vendor-lock system making code transfer an easy task. No mandatory initial hardware investment,it can be easily managed later. AWS SES is more than simply an email sending facility as it provides service at minimal setup for maximum deliverability from distributed application components. Singsys has AWS solution architects who on behalf of AWS SES integration with AWS management console can perform administrative tasks and monitor sending activity to assist client in stay focused on core business. Our expert architects have exhaustive knowledge of AWS SES APIs hence capable of verifying an Email Address and sending a raw or formatted email .We also request production access for higher volume and lesser restrictions. We can use AWS SES script and also call API to query and provide client latest data on sending statistics. We also can configure and enable Easy DKIM so that Amazon SES can DKIM-sign outgoing messages. AWS SES monitors emails quality in real time on behalf of feedback provided by ISP. AWS SES integration with other AWS platforms ensure seamless email delivery from application hosted on AWS. Amazon SES perform content filtering to scan email content ensuring spam are monitored and eliminated. Route 53 is a cloud Domain Name System (DNS) web service to route end users to Internet applications on behalf of globally distributed DNS servers which makes it highly reliable. Singsys AWS trained Solution Architects are skilled in AWS Identity and Access Management service thereby, controlling who all can make changes to client DNS records and also managing the permissions for each of them in AWS account. Our Solution architect are capable to configure DNS health checks so traffic can be routed to healthy endpoints or do individual monitoring of client application with its endpoints.We have dedicated resources to manage global traffic through Geo DNS Latency Based Routing and Weighted Round Robin. Route 53 can also be efficiently used to route users to infrastructure outside of AWS. Route 53 sends query to closest server location as it has globally distributed servers hence reduce query latency. Route 53 is designed to auto scale in order to handle immediate rise in DNS queries. Singsys is singapore scalable and safe cloud hosting provider. Our AWS architects have expertise in creating buckets and adding objects like text, photo or video using Amazon S3 . We are well aware with the process of making buckets and objects public which are set private by default. Our expertise also extends to deleting object versions and markers in a bucket where versioning is enabled. AWS Trained Solution Architects have sound knowledge of Storage tiers in Amazon S3 to provide inexpensive and huge capacity file storage at one specific geographical region that suits client expectations. OUR certified AWS team has members dedicated towards scalable and reliable mode of communication with web based application using REST protocol which is cookie free unlike other complex web applications. Amazon Simple Storage Service is ultimate destination for almost infinite number of objects. Amazon S3 offers a range of storage classes designed for various use cases. Amazon S3 is flexible enough to be used as stand alone as well as with Amazon Elastic Compute Cloud (Amazon EC2) and AWS Identity and Access Management (IAM). Singsys provide complete solution to set and operate a AWS relational database(RDB) in the cloud based on industry standard and monitors various RDS components and interfaces. Singsys relies over AWS trained Solution Architects capable of handling multiple databases and database engines. We are fully capable of Creating, Backing Up and Restoring DB instance for Oracle, PostgreSQL, MySQL, Microsoft SQL and MariaDB. Our architects practice full control over DB instance modifications using RDS Maintenance Window and have good practice in handling instance outage if any, while rebooting of a DB instance. DB security is utmost concern of our architects who ensure access from specific IP address range or port. We ensure AES-256 encryption algorithm to encrypt client data on the server hosting Amazon RDS instance. We have AWS trained professionals to configure tools to automate monitoring of RDS. AWS Elastic Beanstalk is robust and flexible end-to-end application management solutions. Singsys AWS certified architects easily deployed and managed various parameters like auto-scaling, monitoring application health and load balancing in Elastic Beanstalk. It provides leverage of deploying application without considering infrastructure on which application runs. Elastic Beanstalk allows every EC2 instance types. In order to handle an outage our architects are specialised in initiating an instances in different zones.We have been successfully integrating Amazon Simple Notification Service to provide email-based alerts. Our AWS certified architects are capable of controlling an instance under a running environment using best APIs of Beanstalk. An environment health indicator for customization of application health check URL is also a feature of our Elastic Beanstalk service. We provide basic monitoring of your servers through Cloudwatch. We employ automation features for easy updates deployment. AWS Elastic Beanstalk supports .NET,PHP,Java,Node.js,Docker,Ruby,Go and Python web applications. Singsys AWS certified Cloud architects use AWS CloudFront to smartly handle heavy global traffic effectively on your website. We deliver various website content like video content, APIs and any other web assets globally in an quick manner to boost your global reach. Our Architects ensure client website live and on-demand streaming performance confirms to industry standards. Our Architects are expert in creating amazon cloudfront distribution. They further distribute client website content across various global data centers or edge locations so content is accessed with lowest time delay .We are well aware of various HTTP methods that are required for improving performance of dynamic website where end user upload data through web form. We use Amazon CloudWatch to monitor client's Amazon CloudFront distribution and resolve issue if any. Our AWS architects are experts in enabling client origin server to generate country specific versions of content that suits end users. We generate detailed cache statistics report to provide client a detailed view of Amazon CloudFront Usage for in-depth understanding on popular parameters. Singsys cloud expert panel is well aware about the credibility of client's lesser used or cold data. We use Amazon Glacier is a low cost and durable service that is secure for data backup which is used less often but need to be archived for future reference .We can also scale space usage as per business requirement of client efficiently. We realize importance of data privacy our cloud experts ensure authenticated access to client data by deploying Glaciers AWS identity and access management policy where data is secured by SSL and auto-encrypted with 256 bits advanced encryption standards. We can upload client data to Amazon Glaciers through multiple channels like direct upload using AWS SDKs or Amazon S3 lifecycle policy to auto archive data or even through Amazon import export services. AWS trained Solution architects are skilled with REST API to use Command Line Interface (CLI) to upload data in vaults if it is not possible through management console. We can configure AWS glacier to ensure client data is stored on multiple locations across multiple devices to avoid data loss. Our cloud architects are capable of using AWS Glacier for client data maintenance with regular data integrity check. Amazon ElasticCache is the solution for apps which perform low in peak hours. Singsys Amazon certified solution architects have mastered implementing Amazon ElasticCache to address this concern. We are skilled to automate time taking tasks like patch management, persistence management or software installation. Our Cloud experts are experienced in employing inbuilt feature of automatic failure detection and recovery in ElasticCache. We ensure proper deletion of cache cluster which is no longer needed so client won’t be charged for it. Our Cloud architects are capable in taking off expensive DB resources when throughput is high and save on cost. Our Amazon trained expert team are well versed with both Memcached and Redis which are common open-source engines supported by Amazon ElasticCache. We focus to improve latency and throughput to ensure information is delivered quickly and easily. Amazon ElasticCache has no minimum fees concept, pay only for the resources consumed on hourly basis. Amazon DynamoDB is the largest fleet of non-relational database which is fully managed. 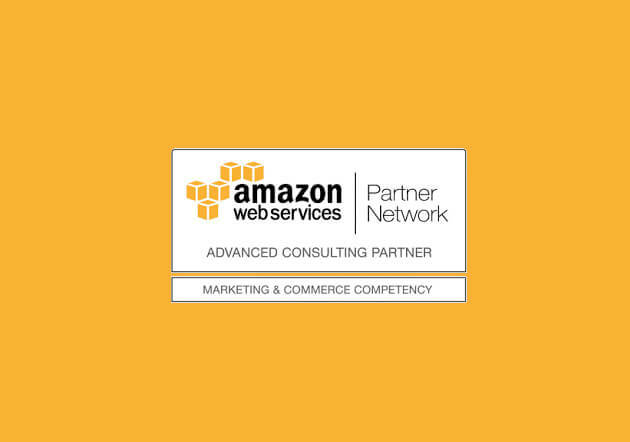 Our AWS certified crchitects are experienced in loading data from Amazon Dynamo to Amazon Redshift (complete data warehouse service) to perform complex business queries on data. At Singsys cloud experts are skilled in performing auto backup at three separate locations. Our AWS certified solution architects are capable of monitoring DB table in Amazon Dynamo to track resource consumption. We are also trained to optimize throughput capacity requirement for allotment of sufficient number of servers by DynamoDB to meet request capacity. Fast response time and on demand scalability makes DynamoDB favourite database choice. Efficient database administration and management is practiced by trained architects to employ DynamoDB service to scale database globally. DynamoDB is NO SQL database enabling us scale client database with least resources. AmazonDB design pattern enables its integration with Hadoop via Elastic MapReduce. Amazon CodeCommit is an inexpensive, secure and highly available way to store code when your application code base grows in full swing. Singsys has a team of AWS trained Solution architects experienced in AWS CodeCommit APIs to create, update and import repository to AWS CodeCommit. They will also backup repository performing full GIT clone using repository local copy. Addressing client privacy concern our trained architects can restrict repository access to client specified user list using AWS Identity and Access Management. Our AWS experts are capable of initiating AWS lambda function or push notification service to respond an event of client repository. Our cloud architects are capable of configuring Continuous Integration systems using GIT to extract code from AWS CodeCommit. With CodeCommit, pay just for active users per month. Although extra storage is available at an additional charge but there is no upfront fee or setup cost. CodeCommit is designed to auto encrypts file in transact and at rest promising full privacy and security towards code. CodeCommit doesn't lets you worry running out of space, as it auto scales a repository when it gets bigger. If your business infrastructure is changing dynamically, AWS CodeDeploy can maintain multiple development and production environment in sync. Singsys's AWS trained architects have expertise in frequently deploying application on multiple environments. We are also capable of monitoring deployment of all applications to target instance through multiple channels like AWS management Console, AWS CLI, AWS SDKs or APIs. Singsys's AWS trained solution architects are capable of identifying the exact instance and script experiencing failure without login into individual instance. We ensure client is not charged for a resource that is no longer used by deleting CodeDeploy deployment components record. Our certified architects are capable of rolling updates across EC2 instance and monitor application health ensuring zero downtime. CodeDeploy progress across the instances efficiently ensuring applications are available to serve traffic continuously. CodeDeploy is based on auto deployment hence eliminating the need of error due to manual operations. Our certified architects can store revision in github as well as in Amazon S3 bucket.